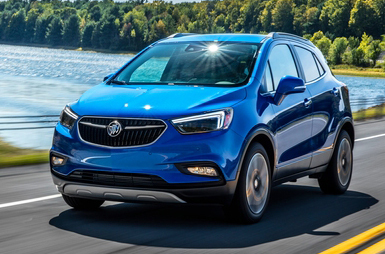 What's New for the 2018 Buick Encore? The 2018 Encore is an achievement in the automotive world because of its ability to pack all of the power of a full-sized SUV into a compact package. With exciting exterior colors like metallic gray metallic, coastal blue metallic, and coppertino metallic, they've opted for a standout coat that turns heads everywhere you dare to drive it. And thanks to impressive horsepower specs, technology upgrades, and a host of amazing trims to choose from, you'll want to take this one on as many adventures as you can over the course of its lifespan. Get ready for a memorable journey. We feel like the majority of our customers are going to enjoy the new Encore so much that they make it a permanent part of their family. 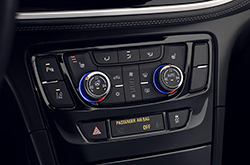 With FWD and AWD trims, you will always find something to love about the new Encore. There are 6 great trims to choose from, including premium trims that are going to give you the horsepower you might find lacking in the base model. 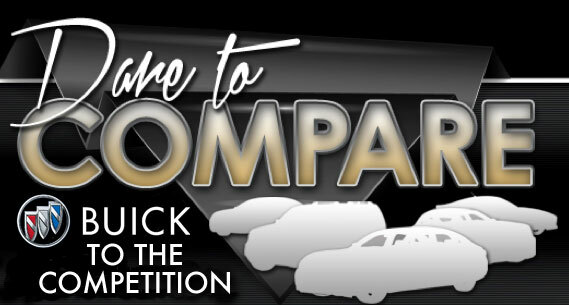 Trim levels include the Encore, Preferred, Preferred II, Sports Touring, Essence, and Premium, each with trim levels of their own based on FWD or AWD configurations. You are going to love what each one of these has to offer. 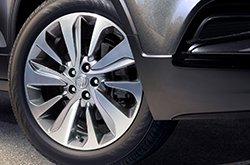 The Preferred II standout features include 18-inch silver aluminum wheels with painted accents. The Essence comes with heated front seats and leather seat trim for a very luxurious interior, and the Premium comes with a host of eye-catching features AND things like rain sensing wipers and UltraSonic parking assist. There is always something else to love about one of these trims, and of course, the touchscreen dash in each will make for a cozy, easily navigated trip every time. New safety features, an upgraded more luxurious interior, and a very stylish exterior are just a few of the reasons that we are enthusiastic about this vehicle in 2018. There are many more other reasons to love the Encore, though, and you can explore those in our resources section. This is not a vehicle that is supposed to churn out maximum horsepower, so they start low with a 138-hp 1.4-liter ECOTEC turbocharged four-cylinder engine that gets the job done for most families looking to commute to their favorite destinations. The Preferred has a 1.4L I-4 Engine that clocks in at 138-HP as well, with a 6-speed automatic transmission. If you are looking for a little more power, though, you can get it. The Sports Touring has an optional 1.4-liter turbo-four that pushes it to 153 HP. So if you want that extra boost and acceleration, it's certainly available on most of these trims. 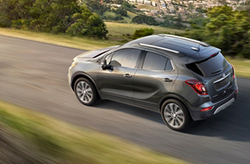 The Encore earned a 5-star safety rating due to its impressive features that even in today's very high-tech safety conscious automotive world. You can rest easy with features like ten standard airbags, side blind zone alert, forward collision alert, lane departure warning, and a sturdy construction that keeps you safest during a crash. 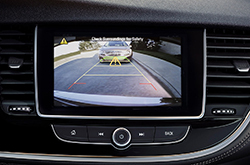 We all know that accidents on the road can happen, and it is comforting to know that you are inside a vehicle like the 2018 Buick Encore. We feel like this one will be impressing its driver and passengers for years to come, and for an extra perk, you get OnStar's emergency roadside assistance and automatic crash response system, two things that are invaluable in a number of situations on the road.